A shocking 1.186 bird species risk becoming extinct in the next 100 years. Even worse, 182 of these are Critically Endangered - meaning they could be extinct in just 10 years. The good news is that there are many opportunities to help these species. 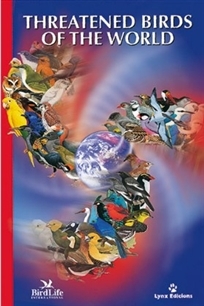 Threatened Birds of the World highlights these, providing full information on each species. The challenge for us all now will be to use these facts and figures to ensure that action takes place before it is too late. Full colour throughout, technical information is provided in a highly visual and understandable format using hundreds of illustrations, maps, graphs and charts. A detailed species account is provided for each of the 1.186 Globally Threatened bird species. Information is also provided on a further 727 species classified as Near Thretened. ensure confident targeting of scarce funds and resources at species, sites and habitats. 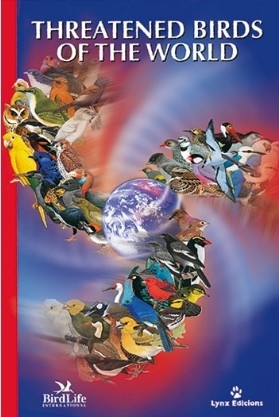 The CD contains factsheets with up-to-date information on the status of all the world's birds, including detailed accounts for all Globally Threatened Species Programme, which continually collates, synthesises and analyses the latest information on the world's birds, including each species's extinction risk, the threats they face, and the measures needed to improve their status and prevent extinctions.